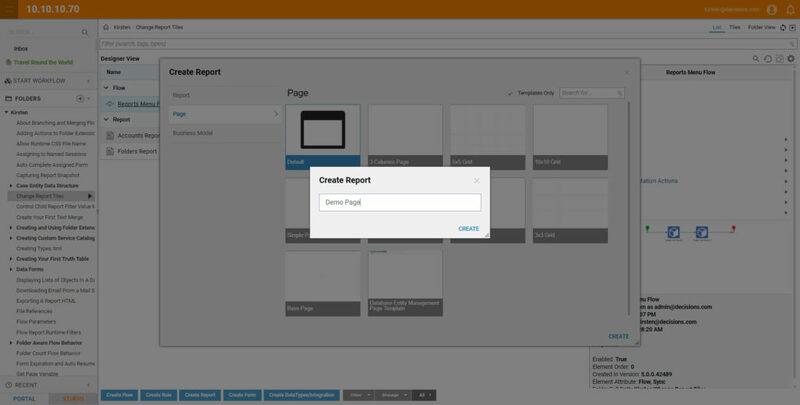 This tutorial demonstrates how to change Report in the Report Viewer component on the Page based on the Tile	click. 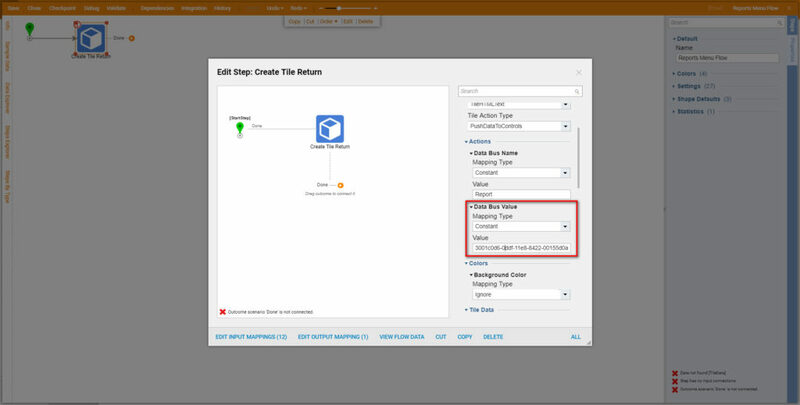 In Decisions 4.0 Tile	components can send Data	on click and Report Viewer component can listen to such events and refresh. To learn how to build a Report	please click here . 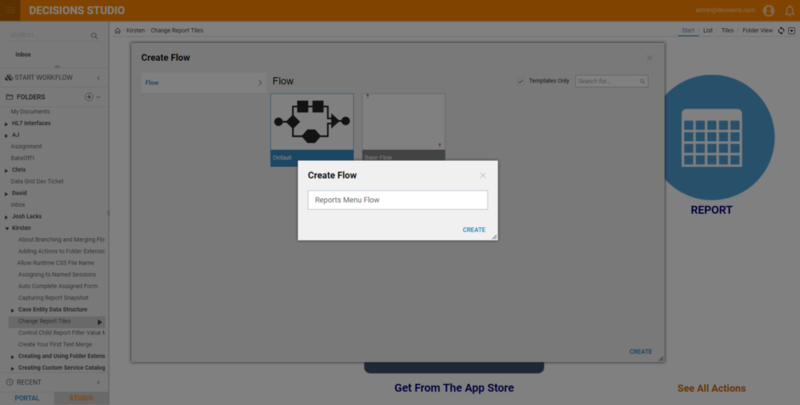 In the resulting window we Name	the Flow then we click CREATE	to proceed to the Flow Designer. 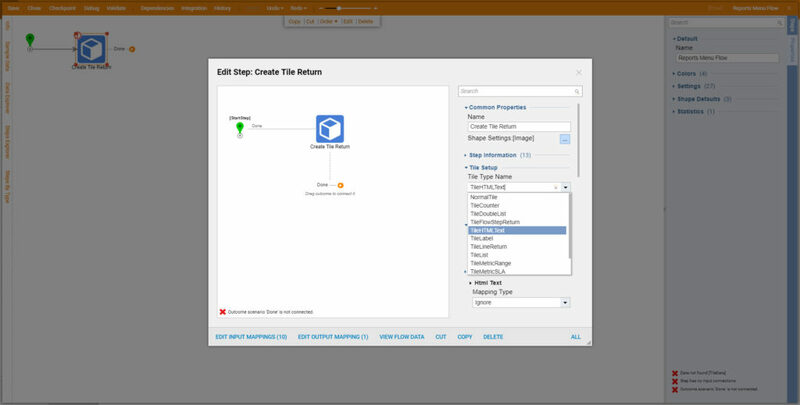 Pick Tiles Source Flow	from the Behavior	drop-down list. 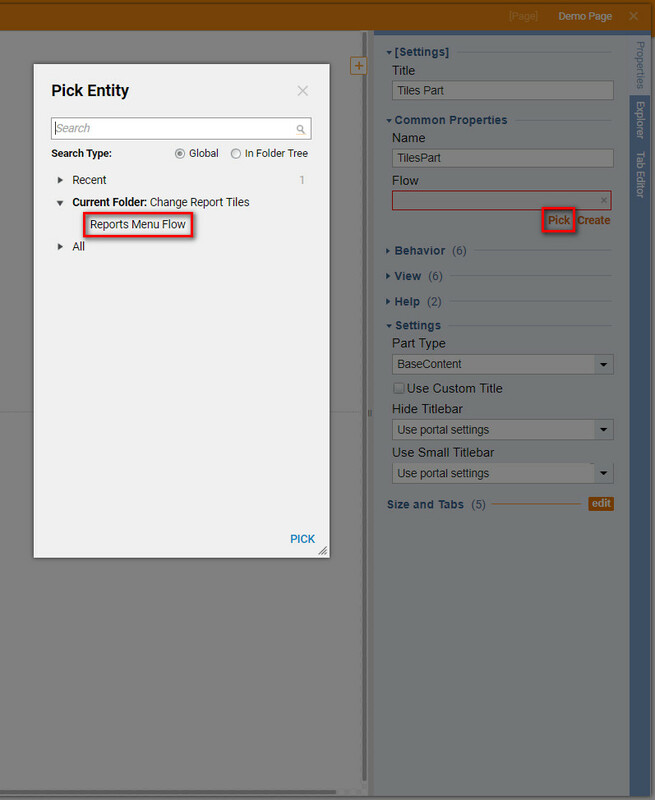 In the Flow Designer we add Create Tile Return	step from All Steps [Catalog] > Communication > Dashboards	category. 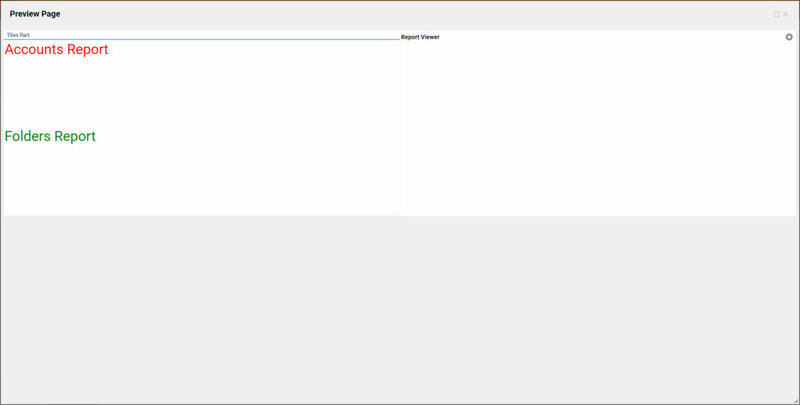 Then, we select Create Tile Return step on the work-space and open Edit Step window. In Tile Setup	settings we pick TileHTMLText	from Tile Type Name	drop-down list. 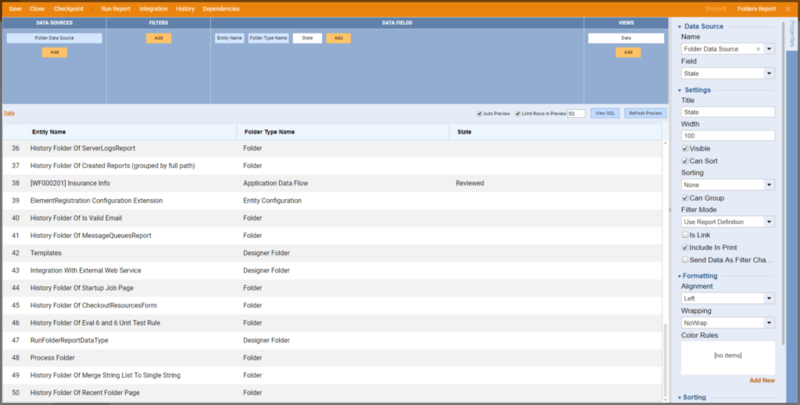 FromTile Action Type	drop-down list we pick PushDataToControls	. 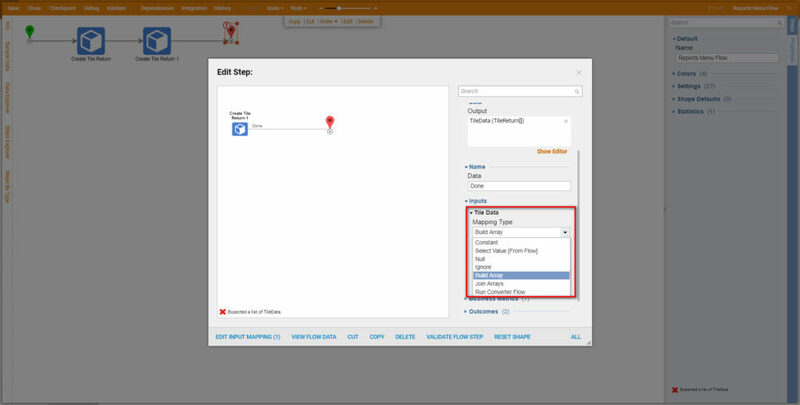 Next, in Actions	settings we define Constant Data Bus Name (Report). 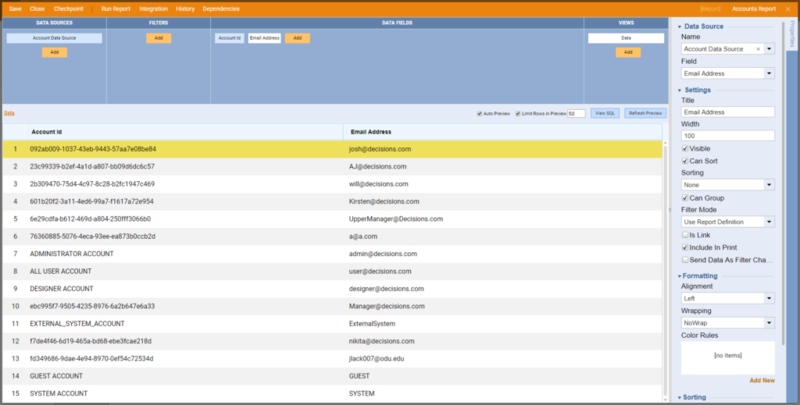 Then, we locate our Accounts Report	and get its Id	using Action > Manage > Get Report ID	option. We copy Report ID to the clipboard. Back in the Flow Designer , we setReport Id	as a Constant Data Bus Value	. 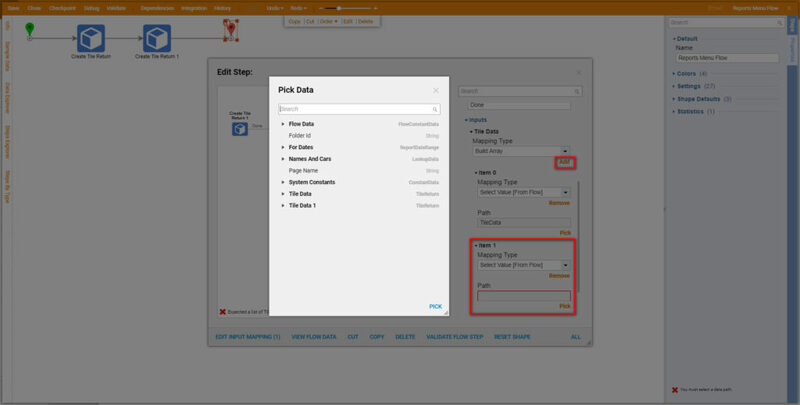 Then, we locate Tile Data	settings, and pick Text Merge.HTML	Mapping Type for Html Text	input . 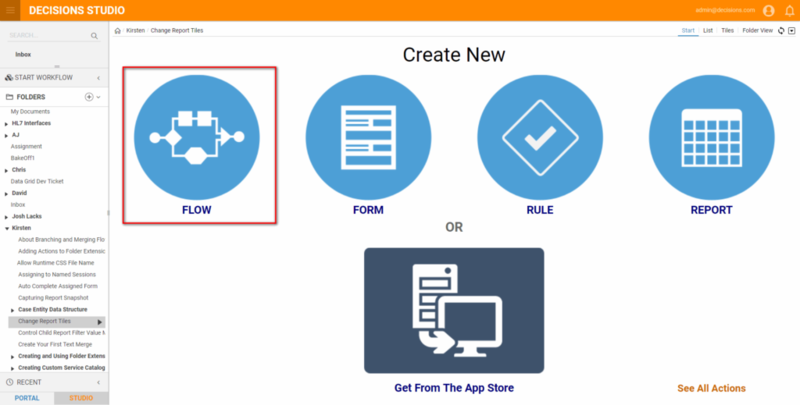 Using Merge Text Editor	we build Html for our Tile . Next, we add another Create Tile Return	step to our Flow . And, we setup this step the same way we set the first create Tile Return step in this tutorial. We are going to use the same Data Bus Name (Report)	. For Data Bus Value	we use our Folders Report Id. 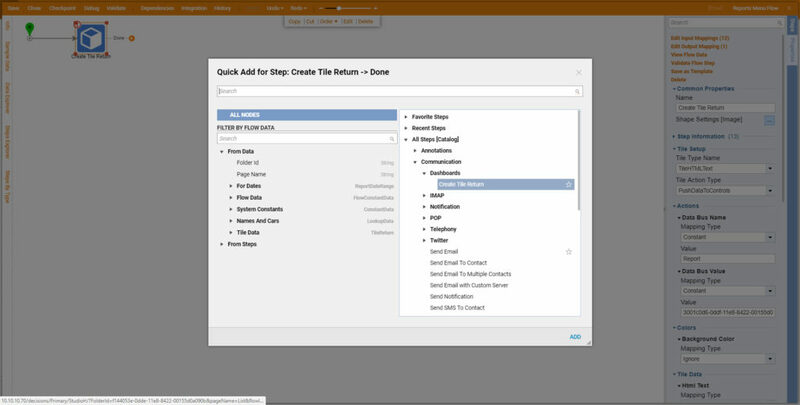 Then, we build Html Text	for this step using Text Merge.HTML Editor. 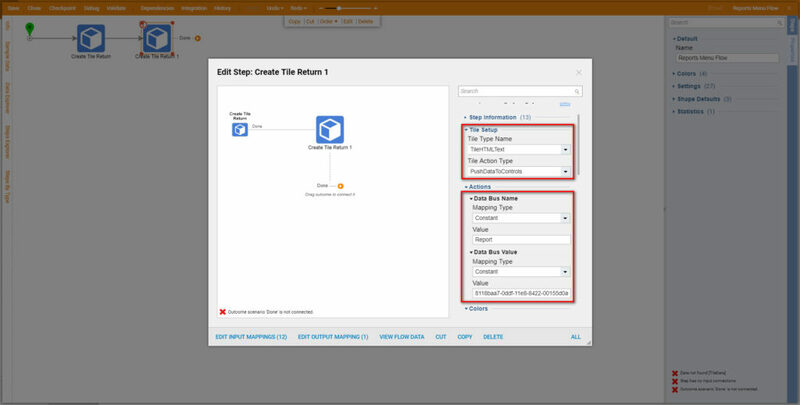 Next, we connect the outcome from the secondCreate Tile Data step to the End Step	in our Flow . For Tile Data	input to the End Step we use Build Array Mapping Type. 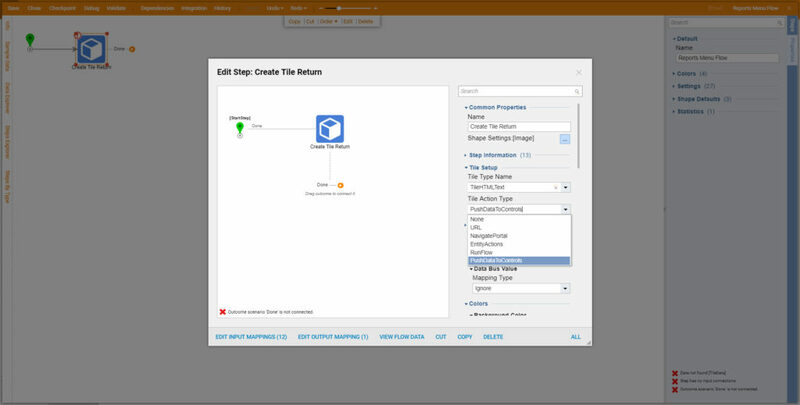 For the first Item	in our Tile Data	collection we Select Value	of the outcome from the first Create Tile Return step. Then, we Add	an item to our Tile Data collection. We Select Value	of the outcome from the second Create Tile Return	step for the second Item	in our collection. 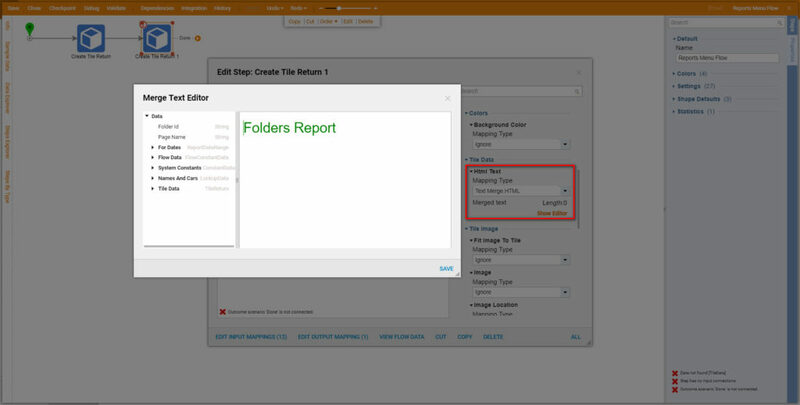 Back in the Designer Folder we click Create Report/Page > Create Page/Dashboard	on Folder Actions Panel. 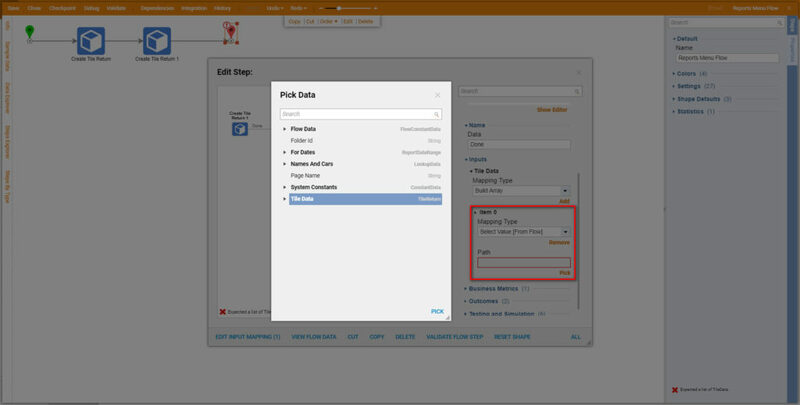 Then, we Name	the Page and click CREATE	to proceed to the Page Designer. 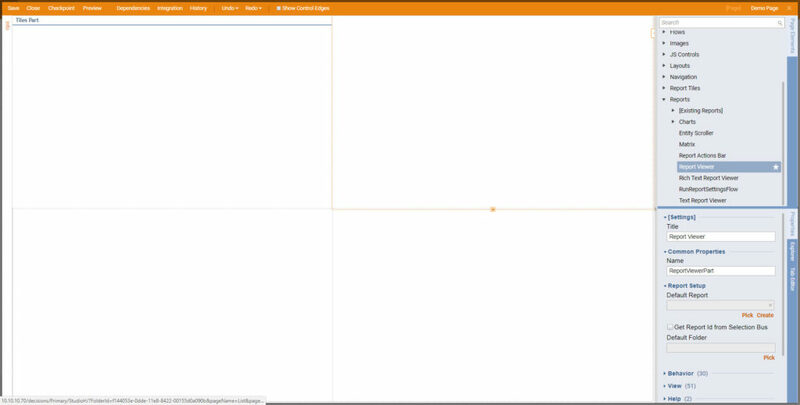 In the Page Designer we add Tiles Part	component. 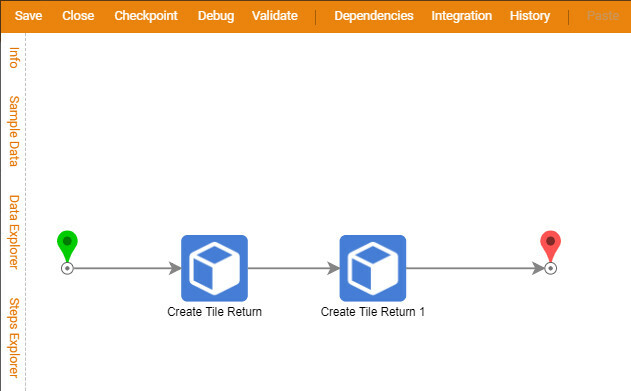 Then, in the Common Properties	of the Tiles Part	component we pick our Tiles Flow. 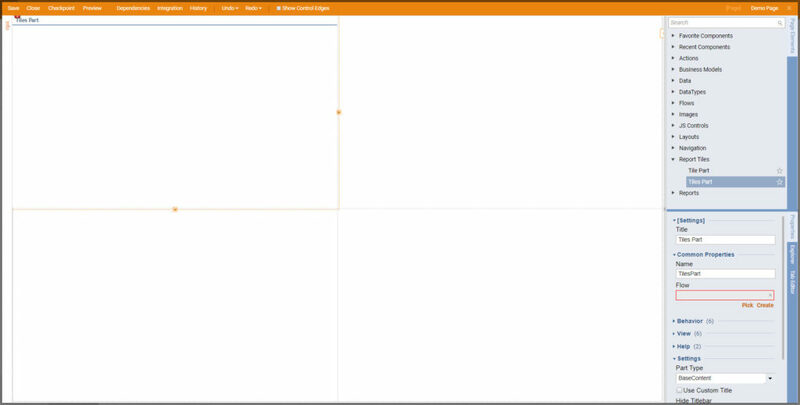 Html text returned by Tiles Flow shows up. 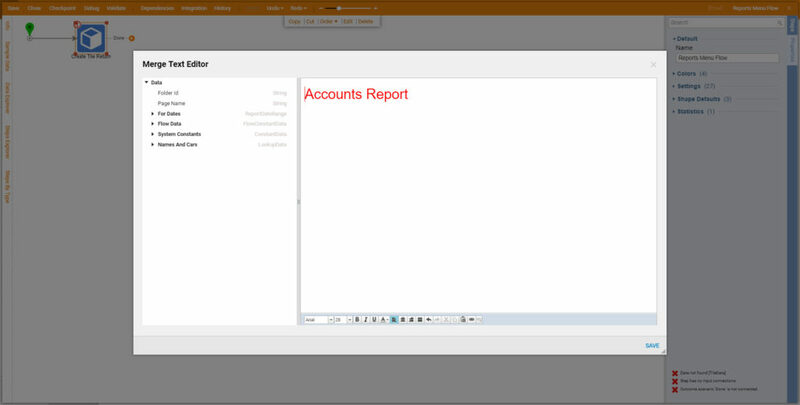 Then, we add Report Viewer	component from Reports	category. 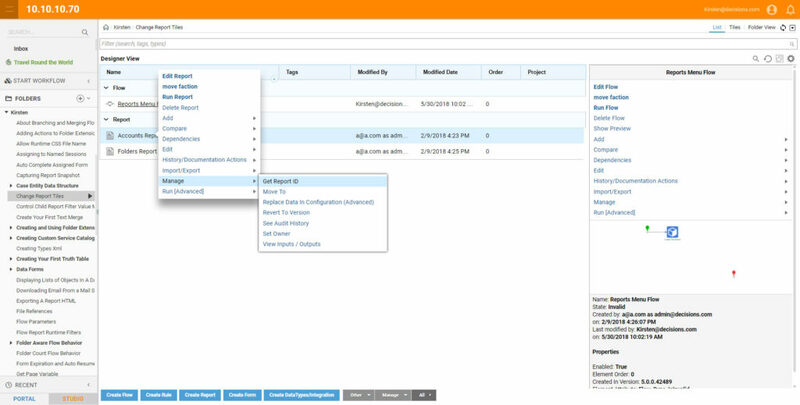 For the Report Viewer	component settings we checkGet Report Id from Selection Bus	check-box. 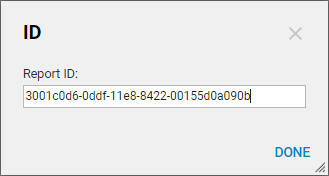 For the Selection Bus Name	we define ‘Report’	(selection bus name where our Tiles Flow pushes Report Ids). This completes our Page	design. We can save the Page	and close Page Designer. 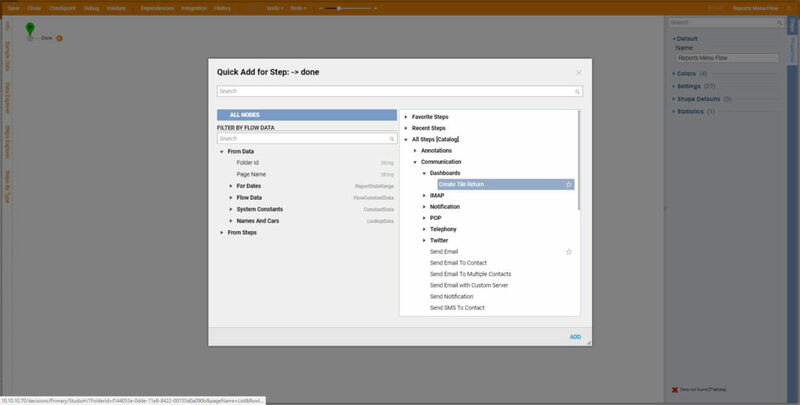 Back in the Designer Folder we locate our Page and from Actions	menu on the thumbnail we click View > Preview Page. 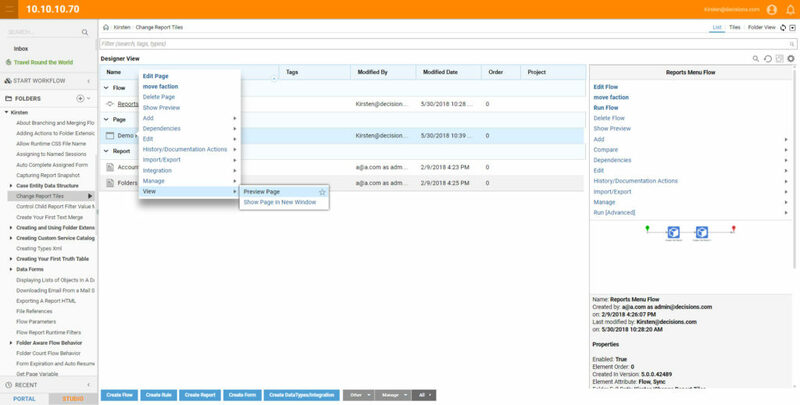 Our Page loads and no Report displayed in the Report Viewer component. 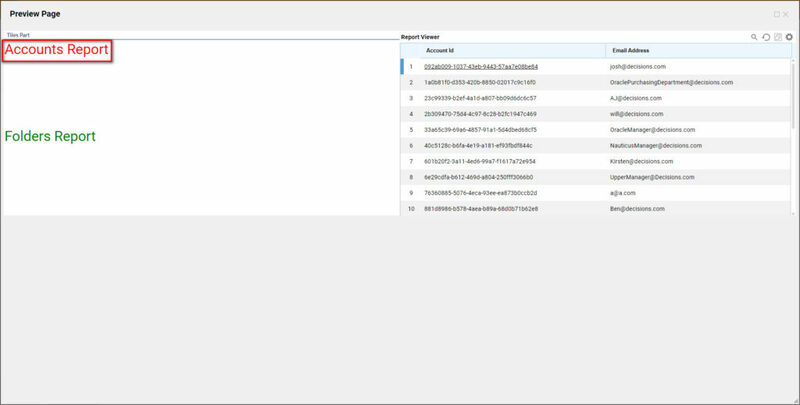 We click on Accounts Report Tile	, and Accounts Report	loads into Report Viewer component. 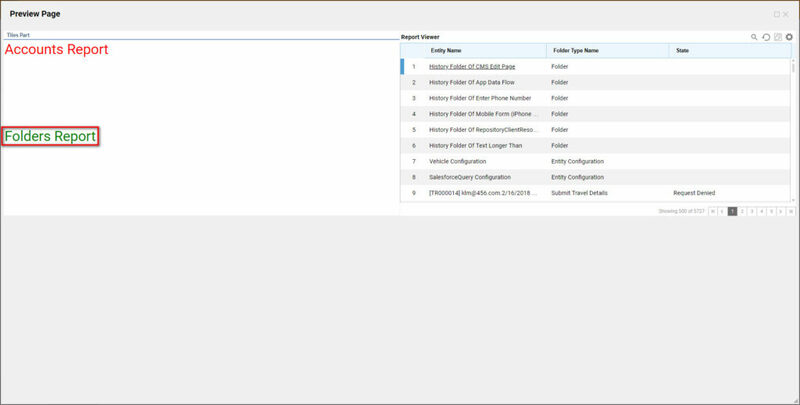 Then, we click on Folders Report Tile	, and Folders Report	displays in the same Report Viewer component.